Alaska Native News Aug 20, 2018. JOINT BASE ELMENDORF-RICHARDSON, Alaska —Airmen with the Alaska Air National Guard’s 210th, 211th and 212th Rescue Squadrons rescued one individual Aug. 19 after the pilot’s PA-18 plane crashed in the vicinity of Stoney River Lodge. 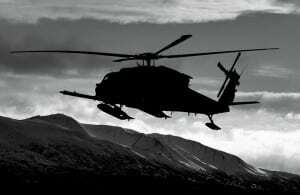 A 210th Rescue Squadron helicopter from Joint Base Elmendorf-Richardson rescued the individual at 12:20 a.m. and transported the pilot to McGrath. A 211th Rescue Squadron HC-130J transported the pilot to JBER, and the individual was then transported to Providence Alaska Medical Center. The HC-130J air-to-air refueled the HH-60G during the mission. According to the Alaska Rescue Coordination Center, the mission was opened in response to notification from the Alaska State Troopers regarding the aircraft crash. After receiving report of the crash, the AKRCC tasked Air Guardsmen to respond to the event.